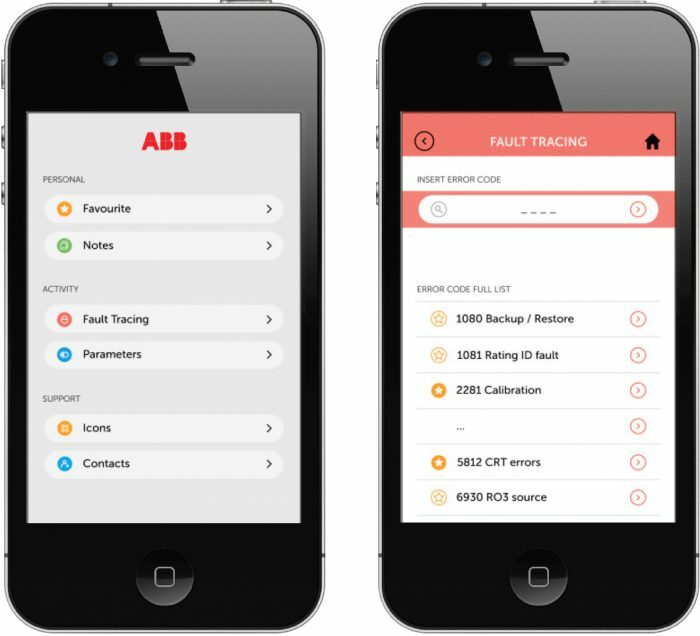 The company assignment was to design a mobile application to help maintenance service personnel deal with possible error situations of micro drives (systems that control rotation of motor shafts). The manual for handling the errors could be provided on the mobile phone rather than on paper or as a pdf file on a laptop. Through interviews and observations regarding the way the users use the product to complete the needed action and analysing the usability and user experience of the current situation we gained an understanding of the users point of view. We understood that the users need to feel “empowered” to take action and “not being afraid” of tuning the machine. To raise the feeling of “being in control of the situation” and “being in power to operate the machine” we focused on developing a mobile application to provide all the information the user needs, as soon as possible and in a very easy-to-understand way. After the interview with the installation guy we had a better understanding of the user behaviour during the working hours and his feelings while using the ABB machine. We understood the importance of his working tools: everything he has with him has to be very functional and serving a specific purpose. He said that he carries with him only the strictly necessary things, even a computer would be annoying for him because of the weight. We observed his pockets: everything is organised and easy to reach even without looking at it. Also the mobile app has to be a tool. A tool the user knows so well that he knows perfectly where to find the information he needs. This led us thinking that a personalised app could serve the purpose. The sense of ownership could be enhanced by giving the possibility to the user to add personal notes, e.g., about the machines he has repaired.